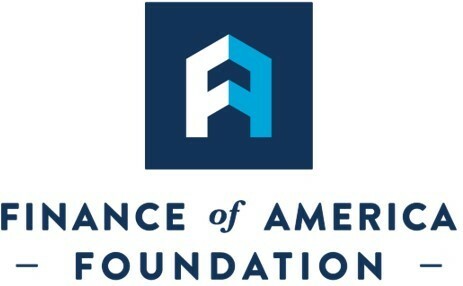 BALTIMORE--(BUSINESS WIRE)--The Finance of America Foundation and HLP (hlp.org) today announced they will create a new national platform to connect homeowners facing foreclosure or other financial problems with the assistance they need to keep their homes. This national utility will be free for consumers, government agencies, nonprofit counselors and the mortgage industry. The platform will be a central source of information about aid programs nationwide, including state and federal government programs and private charitable resources. In addition, individuals will be able to apply for many of these programs via HLP’s secure, online channel. To help guide homeowners, the platform will also provide free, on-demand chat services with nonprofit HUD-approved housing counselors. The new platform will be funded by a grant from the Finance of America Foundation and developed by HLP, with guidance from the foundation’s advisory board of executives and former government officials. It is scheduled to launch in the third quarter of 2018. HLP, a national nonprofit organization, currently operates a technology platform where the largest commercial banks, mortgage servicing companies, government agencies and nonprofit counselors exchange data and documents with homeowners seeking loan modifications and other assistance. Working with IndiSoft, its technology partner, HLP will build the center’s website and resource database while working with all of these organizations to gather and regularly update information for the site. It will also work with mortgage companies, government agencies and other housing organizations to place links to the platform on their websites. “This collaborative effort will offer universal access and better transparency to all homeowner assistance programs. We believe this will significantly increase the utilization of these programs and dramatically improve how we sustain homeownership nationally,” said Mark Cole, HLP’s chief executive officer. Barney Frank, former U.S. Representative from Massachusetts, is advising the Finance of America Foundation in this effort and believes the new platform can play a significant role in helping distressed homeowners. Established in 2016, the Finance of America Foundation is committed to connecting individuals facing financial distress with sources of relief at the federal, state and local levels. By leveraging the resources and intellectual capital of Finance of America, the Foundation offers support, education and relief to distressed borrowers that stretch beyond traditional mortgage industry approaches. The Finance of America Foundation is a registered 501(c)(3). HLP is a unique collaborative created in 2009 that engages the key stakeholders who work with families on homeownership - nonprofit counselors, advocates, mortgage lenders, servicers and investors, attorneys and government agencies. Being a national, neutral, nonprofit organization allows us to listen to all the parties and build solutions that support homeowners and incorporate the unique needs of all stakeholders. As a result, HLP unifies the housing industry by helping individuals and families achieve and sustain homeownership. Stakeholders share information with each other via our technology platform and collaborate to find solutions to help homeowners. To date, we have helped more than 600,000 homeowners and aspiring homeowners.